romesco I am going to keep this short and sweet. Because romesco sauce is easy and wonderful. You’ve heard of pesto right? 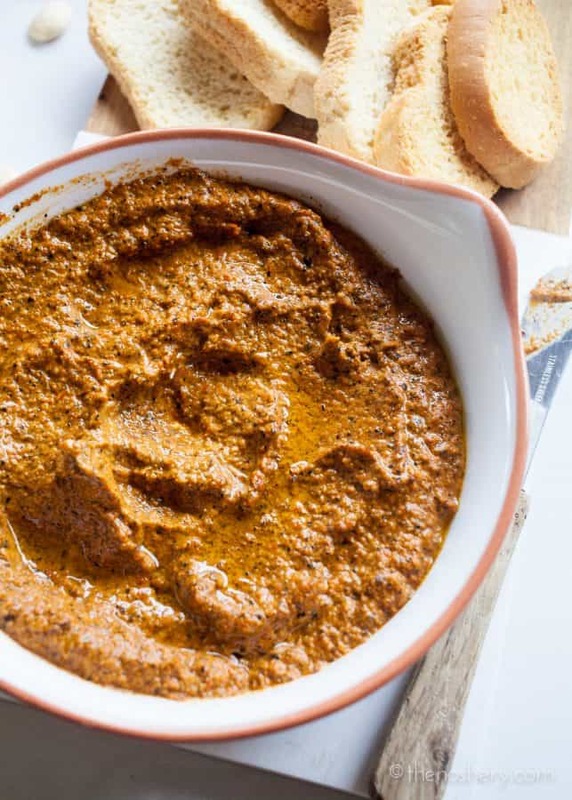 Well, romesco sauce is basically pesto’s hot Spanish cousin. Romesco sauce is a puree of roasted red pepper, almonds, and garlic. 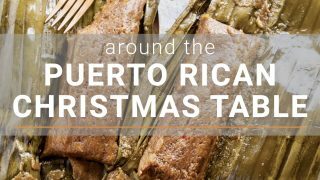 It’s perfect served as a dipping sauce or served over grilled meats. Traditionally when the red peppers are roasted the charred skin is removed before pureeing. But, I love the charred smokey flavor so I leave the charred skin on. 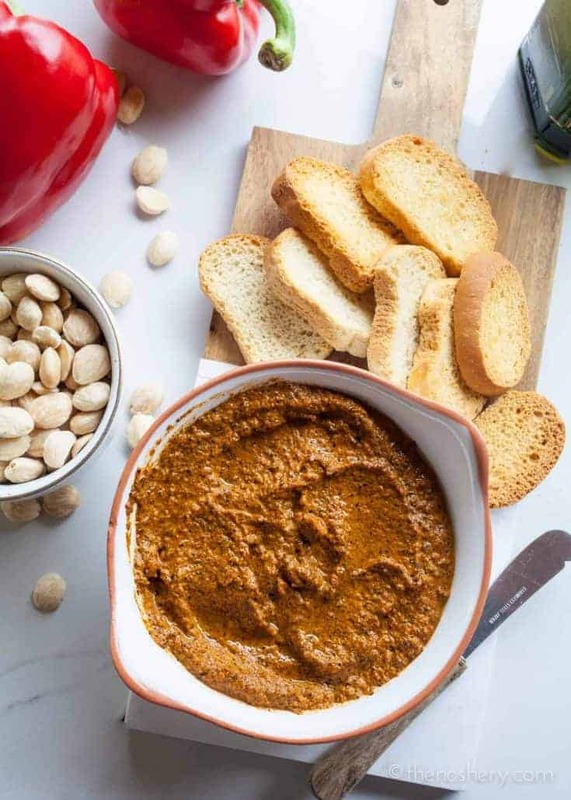 Romesco sauce is packed with aromatics, smokiness, and nutty flavor. Making it dangerously addictive. You will want to top it on everything. And dip everything in it. Except for cake, because that would ruin the cake. Preheat the oven to 450 degrees F. Place the oven rack in the top position about 4 inches under the broiler. Cut the peppers in half and remove the stems, seeds, and membranes. Roast the peppers for 10-15 minutes; or until the skins are completely wrinkled and the peppers are charred, rotating the sheet if necessary for them to cook evenly. I enjoy the char of the peppers so I transfer the entire pepper to the food processor. If you prefer you can peel back the skin of the peppers. In a food processor combine peppers with remaining ingredients. Process until smooth and creamy. Use romesco sauce in pasta or as a dip.